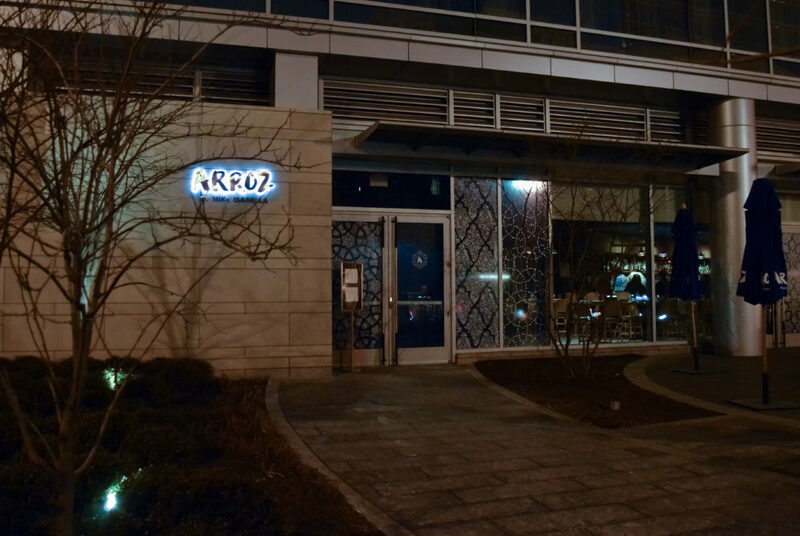 Arroz’s leisurely atmosphere and the fact that they are serving full-size portions rather than skimpy tapas make it the ideal Restaurant Week destination. Prix-fixes and lower quality dishes dominate most D.C. Restaurant Week menus, but if you play it right, you can grab expensive dishes with the finest ingredients while still saving serious cash. Some restaurants serve up simple, inexpensive dishes that don’t grace their everyday menu in order to still turn a profit during the discounted week, but if you know what to look for then you can score huge deals on some of the city’s tastiest dishes. An upscale Spanish restaurant may not be your first thought for a brunch reservation, but this one is worth a second look. The brunch menu comes in at $22 per person and offers three courses with a few options for each. Diners can start with a burnt eggplant dip topped with fresh broccoli and pine nuts with a Moroccan flat bread served for dipping (typically $14). Or go for a lighter starter by choosing a winter green salad with apples and pomegranate vinaigrette (typically $14). There’s no shortage of savory main dishes either. Baked eggs (typically $17) in an individual-sized skillet come topped with spicy lamb merguez sausage and bursting tomatoes, while the hearty fried chicken bocadillos (typically $18), a Spanish sandwich, is slathered with a house-made aioli. The three-course meal is finished off with either a simple set of cookies (typically $8), fresh baked in unique flavors like tahini macaroon, carrot and ginger or chocolate custard (typically $9). The dessert menu keeps it simple, which works well after a flavor-packed first and second course. The three most expensive menu items in each course – burnt eggplant dip or winter greens salad, fried chicken bocadillos and chocolate custard – regularly come to $41 but you’ll save almost half that during Restaurant Week. At Fig & Olive, you can graze over a three-course lunch spread of Mediterranean plates for just $22. 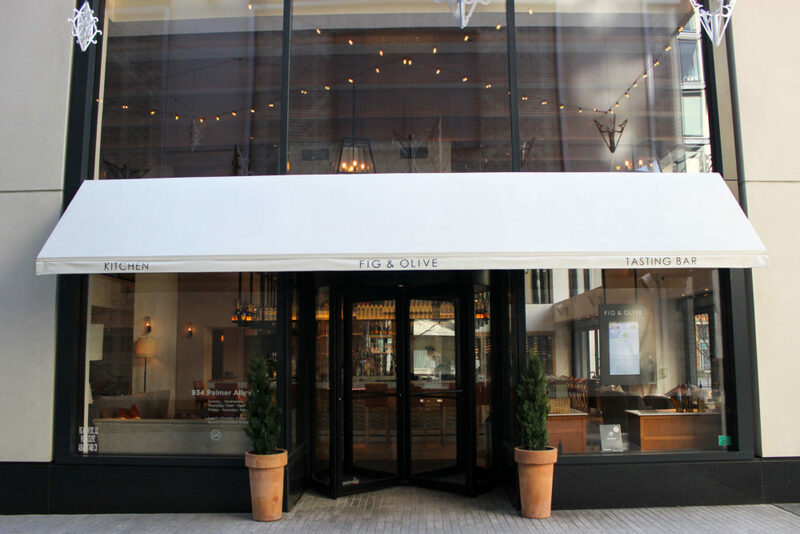 At Fig & Olive, you can graze over a three-course lunch spread of Mediterranean plates for just $22. The restaurant offers ample options for each course, so you’ll be sure to find something you like. The first course offers the choice of a top-notch salmon tartare (typically $17) or mushroom croquette topped with a pricey truffle aioli (typically $14). Larger second courses include paella del mar, which is a seafood paella with shrimp, mussels and calamari (typically $26). You can also get a thinly pounded chicken paillard (typically $22) with a lemon sauce and vegetables, among the three lunch plates. The restaurant tops off their line up of lunch courses with a dessert version of their signature crostini (typically $10) or a chocolate pot de creme (typically $12) with crunchy hazelnut praline and rich vanilla cream. The three most expensive menu items in each course – salmon tartare, paella del mar and chocolate pot de creme – regularly come to $55, but you’ll save $33 during Restaurant Week. Mastro’s is well known as one of the most expensive steakhouses in the District, but not during restaurant week, when they offer a three-course meal for $35. 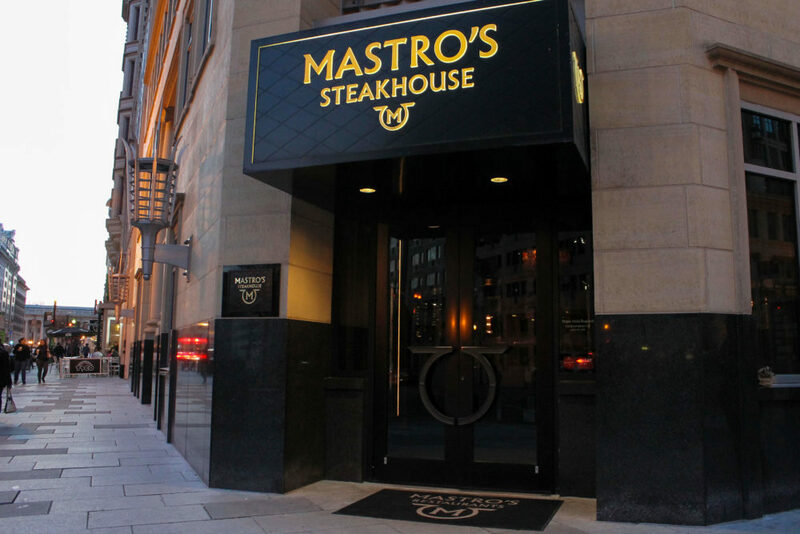 Mastro’s is well known as one of the most expensive steakhouses in the District, but not during restaurant week. You can get a premium piece of meat and hearty first and third courses for $35. This is reasonable compared to their regular menu, where some of their steaks will cost you about $50 any other day. Most Restaurant Week spots – Mastro’s included – offer a choice of soup or salad for the first course. The restaurant offers a French onion soup (typically $12) and their version of a caesar salad called the spicy mambo salad (typically $13), but they also serve up one of their top dishes. The jalapeno tuna sashimi (typically $25) – one of the most expensive appetizers on their menu – is a row of high quality, thinly sliced fish topped with jalapeno slices. Mastro’s selection of steaks, seafood and other meats is also up for grabs in their normal sizes during Restaurant Week – something nearly unheard of in an upscale steakhouse. The six-ounce filet mignon (typically $45) costs more than the entire three-course meal this week, but other dishes like blackened salmon (typically $42) and the pork chop with apple pecan brandy sauce (typically $44) are also good deals. For dessert, the steakhouse offers easy options like sorbet, but is also providing larger desserts like cheesecake topped with berries (typically $13) and their signature mini warm butter cake (typically $16). The three most expensive menu items in each course – jalapeno tuna sashimi, filet mignon and mini warm butter cake – regularly come to $86, but you’ll save $51 during Restaurant Week.